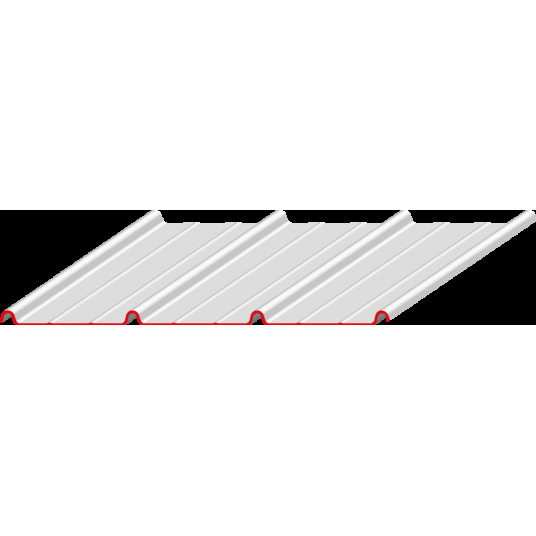 LANDRYBAC® is a roofing profile intended for residential roofs. Available in 4 colours, its matt coating gives it a unique imitation zinc appearance. To meet the aesthetic requirements of residential roofing, a range of specifc ﬂashings is available in the same colours.